Long before the start of the 1914-1918 war thousands of men and women across Europe campaigned against the escalating signs of war and, finally, against the war itself. As the war progressed and the numbers of the dead and injured mounted and volunteer numbers shrank to a trickle, the army urgently needed replacements. The stage was set for the passing of the Military Service Act which forced men to be trained to fight and ultimately kill 'the enemy' which they did in prodigious numbers. Over 10,000,000 soldiers in total were killed in that war.. Between May 1916 and the armistice in November 1918 some 20,000 men, for a variety of reasons, refused to be conscripted into the British army. Many felt that it was wrong to kill under any circumstance and that war was not the solution to any problem. In the Second World War over 60,000 men refused to fight. Today, around the world, many still end up in prison for refusing to be conscripted. Here we remember these men, their many supporters and their often courageous stand against the power of an overweening state. From the moment men received the letter demanding that they present themselves at a Military Depot they were deemed to be soldiers. From then on all their actions were judged under military law. 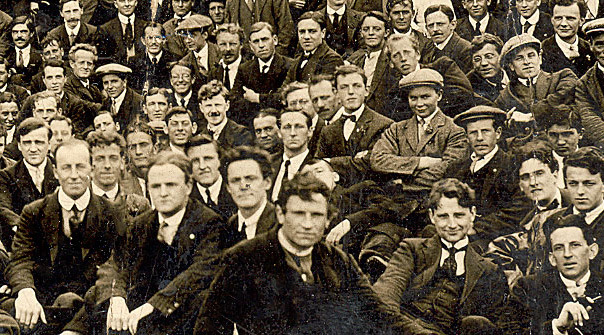 How men responded varied but many, as Henry above, simply refused all orders. Some 2,000 Military Service Tribunals were set up around the country to question men who wished to be exempted from the universal and legally enforced compulsion to join the army. There were a number of reasons for which an exemption could be given. 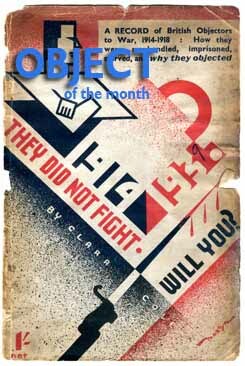 Conscientious objection was one. Applicants, such as John above, had to fill in questionnaires making their case. While this process was intended to be fair and impartial it was rarely the case. Many Tribunals were biased against conscientious objectors and the ever present Military representative made sure there was no backsliding by other members of the Tribunal. The military need for fighting men at the front was paramount. Refusal by men to be forced into the military is part of a different world view to the one that led to war. | more Women played an important role in the support of COs and in the anti war movements. | more The Army's brutal mindset revealed.